Ah tanning. A Summer ritual of sorts. For some of us (myself included) a tan comes very naturally. Walk out into the sun and voila, you’re brown. Thanks for my European skin Dad! But for some of us the sun just doesn’t do anything, and pale skin sticks around. That is where fake tan is a bit of a saviour. I don’t mean orange “Oompa Loompa” style tan. I mean subtle, natural looking tan that could be mistaken for a day in the sunshine. And if you’re looking for a brand that is super natural looking and very simple to apply you need to keep reading. 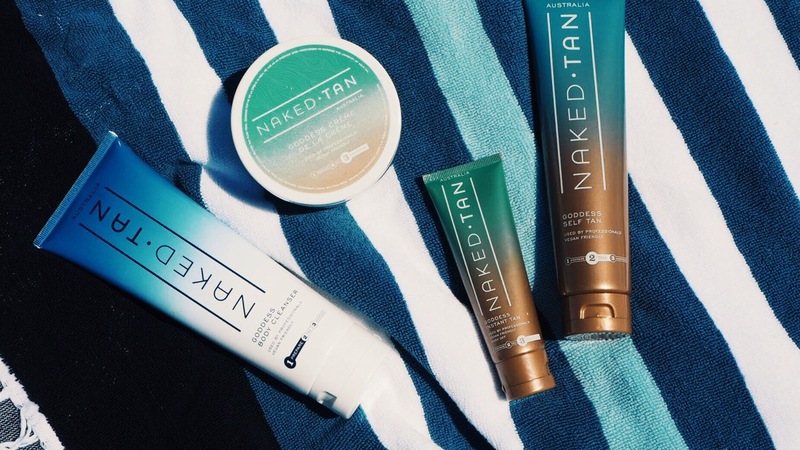 Naked Tan is an Australian brand invested in helping reveal your “inner goddess”. Designed with the busy woman on the go in mind they are well known for their “2 Hour Wash and Wear” – a product that is applied and dry in a short amount of time, allowing women to continue their day without having to wait around for their tan to set. These days they have a huge range of products ranging from a regular self tanner to an instant wash off, something for every kind of lady really! With lush packaging, a local hub and more than one product to suit your lifestyle, I couldn’t not share this label with you all (and it’s cruelty free)! To write this post I invested in a little help from my friend K who rocks naturally pale skin. With her upcoming wedding she was looking to try a few different tans as inspiration for her big day. Here’s a tip from me though – prep is everything when fake tanning. I wrote an article for Kidspot a few months back on the best tips for tanning at home, so if you’re a first timer or haven’t tanned at home before have a read first. It’ll help you majorly! Now here’s K with her thoughts on Naked Tan’s range. I shaved my legs, and exfoliated with Naked Tan’s exfoliant mitt, then applied the Goddess Body Cleanser ($14.99) with the mitt. The products are numbered so you know what to do first (there are a few products to use) and so you apply everything in the right order! To complete the prep I applied the Goddess Creme De La Creme moisturiser ($24.99) which smelt like shea butter with a hint of citrus. It went on smoothly and absorbed well. It left a scent behind which smelt yummy and fresh, but wasn’t too overpowering. None of that chemical smell either! Before applying my tan I showered and again washed my body with Naked Tan’s cleanser, and quickly re-exfoliated. I noticed the fake tan didn’t come with an application mitt so I used one I’d previously had. The Goddess Self Tan is a light brown cream and it looks (and smells) like caramel. On application it leaves a slight tint on the skin, but applies easily. I did notice I had to use quite a lot of the product compared to the size of the bottle, but if you’re just tanning your legs it’s not so bad. Compared to mousse tanners that you can see where you’ve applied, I noticed once you’ve rubbed the Naked Tan in you can’t really see where you’ve applied it. Two hours later, and the directions state to wash off the product with water. I also applied the moisturiser as suggested to give the tan longevity. At this stage I’ve noticed the self tanner has a yellow undertone. The self tanner on my arms lasted for approximately one week, with a good colour. 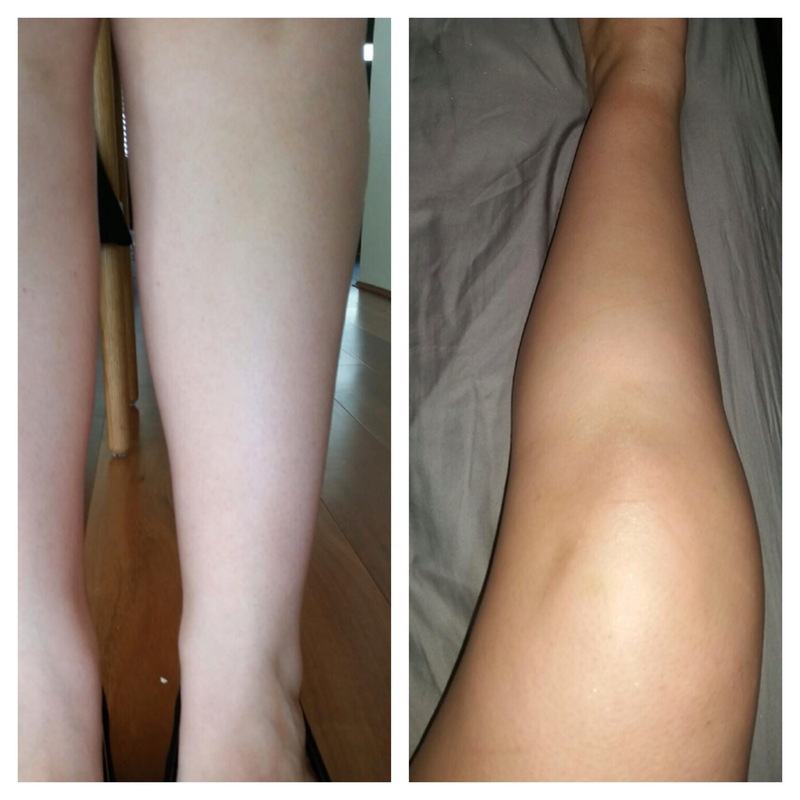 Fake tan tends to totally absorb into my legs so I topped up my tan with the Goddess Instant Tan (50ml $9.99). The instant tan gave a nice bronze effect, with a slight shimmer. The smell was fantastic, the same citrus scent as the moisturiser. It absorbed nicely, and no greasy feeling on application. It did leave a slight residue after an hour of dry time, but it wiped off cleanly. I applied a second layer to see if it was possible to layer, and it was! The instant tan product had a brown/red undertone compared to self tanner. Really liked it! So if you’re in a hurry and need an instant subtle glow, the Instant Tan seems to be the winner from the Naked Tan product range. Who doesn’t want to look like a glowing goddess? K gives this product 3.5/5 stars! Naked Tan products are available online with special packages available all year round. Get glowing! Do you fake tan? Which brands do you recommend? Naked Tan products gifted in relation to my disclosure policy. All opinions belong to my friend K & I. An upcoming wedding hey? how lovely, all the very best to K. Handy tips and post for all those who need a bit of colour. I’m not very experienced at tanning. Thanks for the product recommendation. I always prefer to use products recommended by trusted sources such as this rather than take pot luck in choosing a random product off the shelf. Never used Coco Brown but I’ve heard great things about it! Previous PostP E R S O N A L: I’m comfortable in my skin, are you?